Certainly life events shape us. As a child, having a fire destroy our home in the middle of the night created my need to always sit on an aisle end. 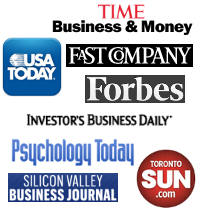 Sick as a young woman, a failed first marriage, fired from my first professional job, a father with Alzheimer’s followed by a mother with dementia, along with financial ups and downs, also shaped me. So did growing up at a time of bomb shelters, war protests, and glass ceilings, being married four decades to my best friend, experiencing joys and challenges of parenthood and now grandparenthood, all while seeing and feeling the world change — sometimes for the better; sometimes not. Life does shape us, inspire us, jade us, challenge us, and/or sometimes defeat us. 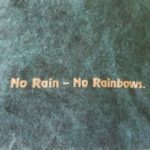 Every headline, book read, person met, experience had or heard about — good or bad — can find its way into influencing how we see the rain or the rainbows in our lives; how we understand and even experience our personal life-worlds. How different would you or I be in another time or place, or with different life circumstances? How much of who we are is a result of who we’ve been, where we’ve lived, and who we’ve met or not met? I know I wouldn’t be who I am today without both rain and rainbows; without being challenged, disappointed, inspired, devastated, and loved. I wouldn’t be who I am without the opportunities of this century, the problems of these times, and the circumstances I sometimes face. I also know that how we evolve in times of our rain influences other people to find a way through theirs. I am, and will always be, grateful for that inspiration from others. 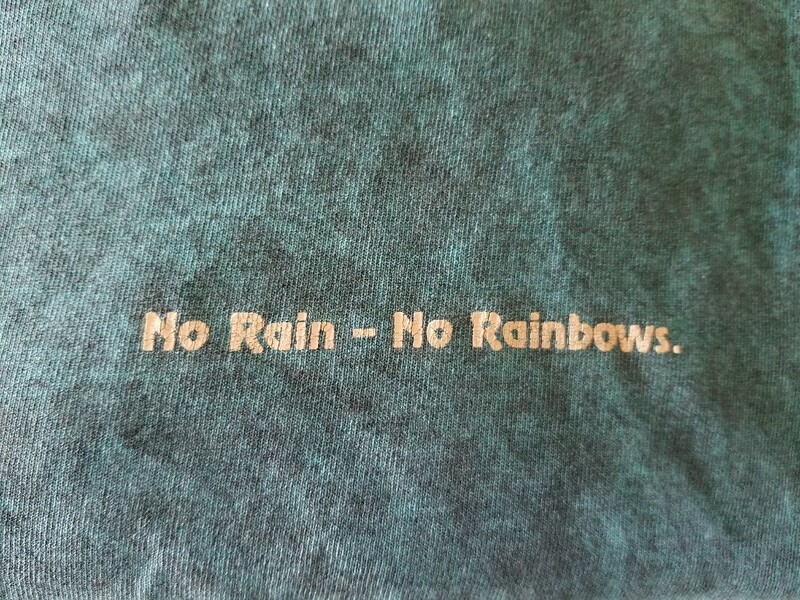 My favorite T-shirt has been a favorite for decades, offering its “No Rain — No Rainbows” wisdom. In the scheme of things, I realize that I’ve had more rainbows than rain in life. Even so, I can lose perspective during personal rough patches. My granddaughter is right. I have been wearing my t-shirt frequently. I’m needing more wisdom-nudging these days so I can see beyond the rain clouds to spot the many rainbows already in my life.